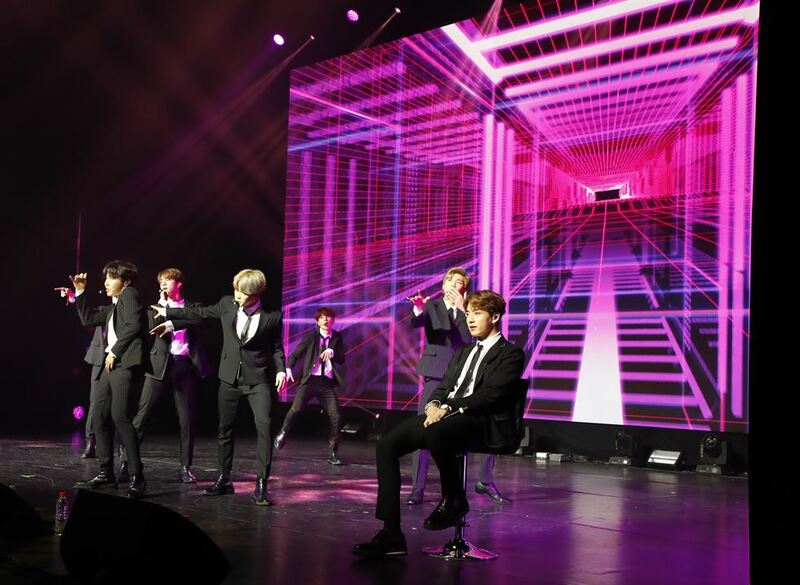 PARIS -- BTS performed in Paris ahead of President Moon Jae-in's second summit with French President Emmanuel Macron. 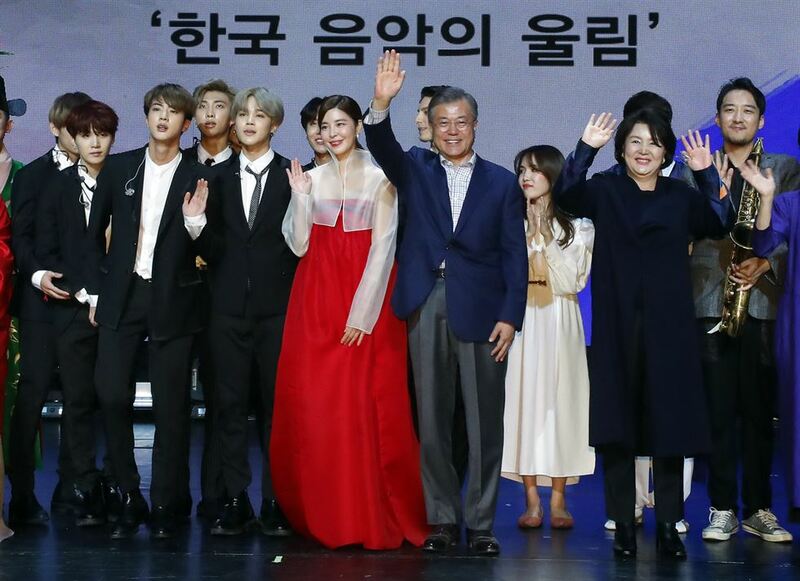 The "Korea-France Friendship Concert," held at an art performance theater in central Paris, was attended by President Moon, first lady Kim Jong-sook and about 400 others including students and musicians, Cheong Wa Dae said Sunday. 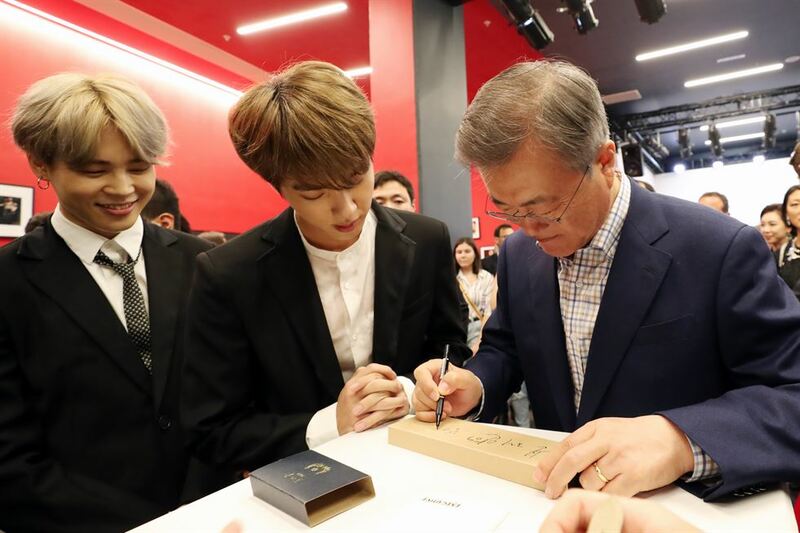 Moon's stop in Paris is part of his trip to Europe that will continue until Oct. 21. The theme of the concert was "The Cry of Korean Musicians," with performances by traditional Korean musicians on the "geomungo" -- a traditional Korean string instrument -- and "pansori" -- traditional musical storytelling with a vocalist and a drummer -- as well as a fusion of modern instruments with traditional Korean sounds.